David G. Bayliss is a criminal lawyer dedicated exclusively to the practice of criminal law. He is devoted to defending all clients whatever the criminal charge. He is committed to achieve the best possible outcome. As a trusted criminal lawyer, he has successfully defended serious cases of murder, attempted murder, manslaughter, sexual assault, sexual offences, domestic violence, uttering death threats, gun possession and firearms charges. His criminal law firm is also experienced in defending drug charges such as trafficking, importing, operating marijuana grow-ops, possession of marijuana, ecstasy, crack, cocaine, and heroin, as well as illegally obtained prescription drugs. They routinely defend and win criminal cases in less serious offences such as fraud, theft, shoplifting, robbery and assault. 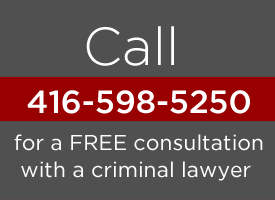 Hiring an experienced Toronto criminal lawyer to represent you in court is your best course of action to help ensure the success of your case. No matter what the criminal charge, whether it is murder, assault or fraud, you need to have a criminal lawyer that knows the system, inside and out, and has the well- honed skill to handle criminal defense cases of all types. When a person’s freedom is at stake, choosing the right criminal defense lawyer is crucial. With so much in the balance, you need to choose a law firm team with the depth of knowledge and the understanding to give you the best defense possible. When fighting criminal charges, having a top Toronto defense attorney handle your case will help you achieve the best possible outcome. David G. Bayliss is a highly-qualified Toronto criminal defence lawyer with outstanding courtroom abilities and a proven track record. The law professionals of the Toronto criminal law practise of David G. Bayliss Professional Corporation will work with you at every stage of the criminal justice process. In certain cases we take Legal Aid Ontario certificates.